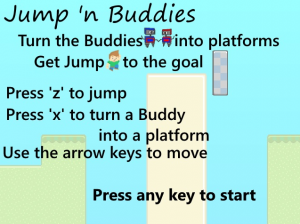 I just realized that I never posted anything about the video game I made, Jump ‘n Buddies. I say “made” because it’s online and technically playable, but I certainly wouldn’t call it complete. It’s been a work-in-progress hobby for several years. I’m using the software Stencyl. It’s pretty easy to use, but it doesn’t have near the community of something like Unity. Because of that there aren’t nearly as many resources available. So it’s a trade-off; fewer tutorials but easier to get started with. Check it out if you’d like and have a browser you can trick into running Flash. Well, it only took about 5 years from the initial post. 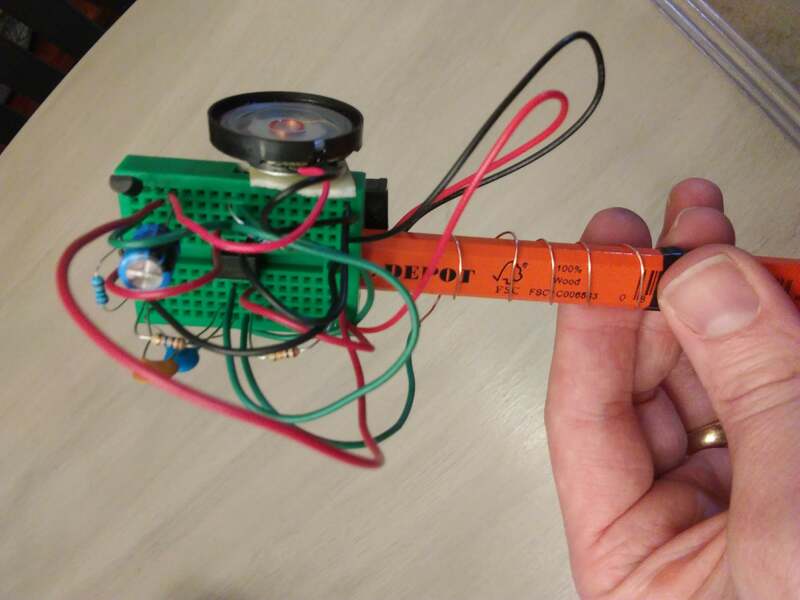 But I finally built the Drawdio. I wonder what other projects from the past I could dig up and finish…..
I’m reading a couple of things right now that I’m really impressed with and felt like sharing with you all. In a previous post I mentioned reading The Inheritance Cycle books. I have just recently finished the fourth and final book. I started to burn out a bit at the end there. That’s a darn lot of pages. After taking about a two week break I’m back to reading in the evenings. I’m not a writer, so I didn’t participate in the Kickstarter, but I have started reading the book that was the product of the process. So far I am very impressed and really enjoying the story. The book is described as a “thrilling young adult steampunk adventure”. I’ve enjoyed a number of stories classified as “young adult”; Harry Potter, The Hunger Games, and Divergent to name a couple. I hope you are having a good summer. Keep reading. I’ve made some good progress on my Bootstrap site. The site is still very much under development, but you can see several Bootstrap elements (containers, columns, a form, an image rotator, responsive table, and footer) on my American Warming Louver Selection Wizard. That image rotator was quite a bit of trouble and I did have to make some minor changes to the bootstrap.css file to get the right and left buttons to show. I would really like to update the DIV with the results using AJAX, but I couldn’t figure it out quickly. So AJAX will be a 2.0 feature if there is ever a version 2.0. Since I was making such good progress with the Bootstrap site I thought it would be OK to get started on the Drawdio weekend project. To buy all of the items on the list as specified would be around $50. There are four resistors needed and the parts list has you buying a 100 pack of resistors for over $20. You can buy three of the four separately for just a couple of dollars. I still need to find a 270K ohm 1/4 watt resistor. The parts list also has you buying a 50 pack of capacitors to get the one 560 pF capacitor that is needed. I’m hoping to find just these two things to keep the total cost around $30. I have another e-mail to add to the list of daily emails you actually want to receive. The BookBub e-mail sends you ebook deals that you may be interested in based on the options you select on sign-up. I’ve found a couple of good bargains from this email, one of which I’m reading right now (Moth). I found this online earlier this week and thought it looked like a cool project that the kids would really get a kick out of. I was hoping to build one of these Drawdios this weekend, but now I’m not sure if the schedule will allow it. If I do get around to it I will post a picture and let you know what the total cost was since that information seems to be hard to find. So… what to do when it’s freezing cold outside pretty much all the time? Well if you’re a Geek like me, one such activity may be reading fantasy novels. I am currently reading Brisingr, the third book in The Inheritance Cycle. You may not recognize that title, but you’ll probably know the title of the first book Eragon (think dragon rider). One of the story arcs has taken a turn in tone and style that really reminds me of another series I recently finished. Last year I finished the six book series (Codex Alera) by Jim Butcher that started with The Furies of Calderon. I really enjoyed the Romanic (not romantic) setting and the military strategy elements in the Codex Alera and now in Brisingr I am seeing more similar elements. The one downside to this evolution is that my 9 year old son is also reading The Inheritance Cycle books and parts of Brisingr are quite a bit more violent and gory than the previous books. He is already halfway through the book, so I don’t think I’ll stop him, but I will likely read the final book in the series (Inheritance) before he starts it. I really recommend both book series to fans of fantasy novels.